International Fortune Teller and Top astrologer Fergus Gibson gives you the heads up on what lies ahead. What do the stars hold for you? Should you take that job offer? Is there new love on the horizon? Fergus has written Horoscopes in The Sunday Independent, RTE Guide, and the Evening Herald, and Aertel and TV3 text. 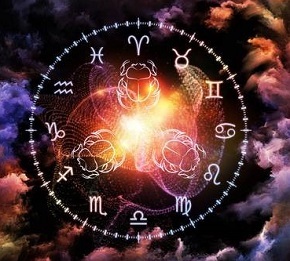 In fact over thirty thousand people check their star signs each week on Aertel. Fergus is Ireland’s most famous media Astrologer, he has had regular spots on RTE Television and TV3 with a regular weekly item on 2FM doing phone-in’s – astrology, dream interpretations and reading the cards on air. Fergus has a great deal of experience doing corporate work. If guests are seated for dinner, he works a room by visiting each table and telling all about their star-signs and who their opposite sign for romance would be, money, their ability for success etc. It is great fun and very popular with corporate groups. From the time the guests are seated until the music begins Fergus can handle the room until the end. If the party is very big then Fergus can enlist the services of his psychic colleague. To book astrologer Fergie Gibson for your event or to talk to us about your event requirements, either submit the enquiry form, email:info@carolandassociates.com or call us on 087 718 1360.